1. Have bright security lights inside and outside your property. Light is the vandal’s biggest enemy. Keeping areas well lit make it difficult to commit their acts of vandalism without being seen. Proper lighting is the easiest and most important step in preventing vandalism. It is important to ask the right questions about your lighting to get the right lighting solution for your particular environment. 2. Use unbreakable security glass and fixtures designed to deter vandals. Unbreakable glass and fixtures are not guaranteed never to be broken. However, the effort required to damage these types of installations is time-consuming and has an adverse effect on criminal’s motivation. Repeatedly doing something without success is worse than boredom to young criminals. 3. Install security fencing around your property. When possible install fences around the perimeter of your location. Be sure to post no trespassing signage on them as well. Installing fencing is a crime prevention option that provides the added benefit of deterring other types of crime. Plant shrubs and bushes to make it more difficult for criminals to reach their targets. This can apply to a wide range of target areas ranging from signs to fixtures to balconies which they may intend to climb on. Be sure to use plants with thorns and sharp jagged leaves and branches. 5. Clean up vandalism and remove or repair any damaged items as soon as possible. Vandals want to commit their act and have other see it. This is particularly the case with graffiti. Quickly removing the evidence of their acts eliminates their ability to take credit. Repair or remove damaged items immediately. Don’t let them feel the pleasure of seeing their work. 6. If you see anyone committing vandalism, report it to the police. Many people make the mistake of thinking that acts of vandalism are “too small” to report to the police. This is false. The police are charged with protecting law-abiding citizens from criminals. Crime prevention is important, however, making criminals pay a price for their crimes is also important. The police can only respond to crimes that are reported. At a minimum, timely reporting can allow the police to increase presence in the area to protect your neighbors and prevent your location from being hit again. 7. Support community programs that give young people something to do. Boredom is the cause that propels vandalism. Supporting programs that provide young people with safe alternatives to criminal mischief provides the dual benefit of preventing vandalism and make a positive impression on the life of a young person. Young people who are busy doing activities have no time for committing crimes. Your support can manifest in any combination of ways. You could start your program from the ground up, donate money, volunteer or get involved in some other way. 8. Lock security gates and all other entrances and exits. Locking doors and gates are the least expensive option for preventing vandalism. The simple act of locking a door can prevent an act of vandalism. Vandals tend to look for easy targets. Every extra step they have to go through encourages them to go elsewhere. Make checking all doors and gates a standard part of your procedures. Install surveillance cameras. Place the cameras in areas that have been targeted by vandalism. Position cameras so that they are out of reach and cannot be tampered with. 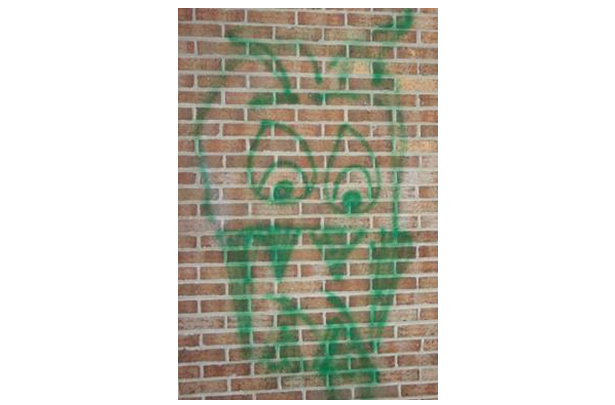 Having a recording of the vandalism being committed can help law enforcement identify and catch the perpetrator. The property being protected is very expensive such as construction equipment, buildings, and homes being built. Construction sites are often targets of crime. Security guards are the best solution for construction security. Sites that have implemented the options listed in this article and are still experiencing significant losses due to property damage.